OutVets founder Bryan Bishop wore the logo of his group while speaking to reporters Friday. Controversy swirling around this year’s St. Patrick’s Day parade in Boston centers around the exclusion of a group called OUTVETS. The nonprofit organization honors lesbian, gay, bisexual, and transgender military veterans, active service members, and their families. Founded in Sept. 2014, it has described itself as nonpartisan and nonpolitical. The group has received an outpouring of support in the past 24 hours, including signing up more than 100 new members. OUTVETS is run by cofounder Bryan Bishop, who served in the Air Force for 20 years. Bishop, a UMass Lowell alumnus, worked as deputy commissioner and chief of staff in the City of Boston’s Veterans Services Department from 2013 to 2015, when he became director of Veterans Services for the city of Somerville. The war veterans council agreed, by a vote of 11 to 0, to invite OUTVETS to the parade with no restrictions on the display of the rainbow flag. 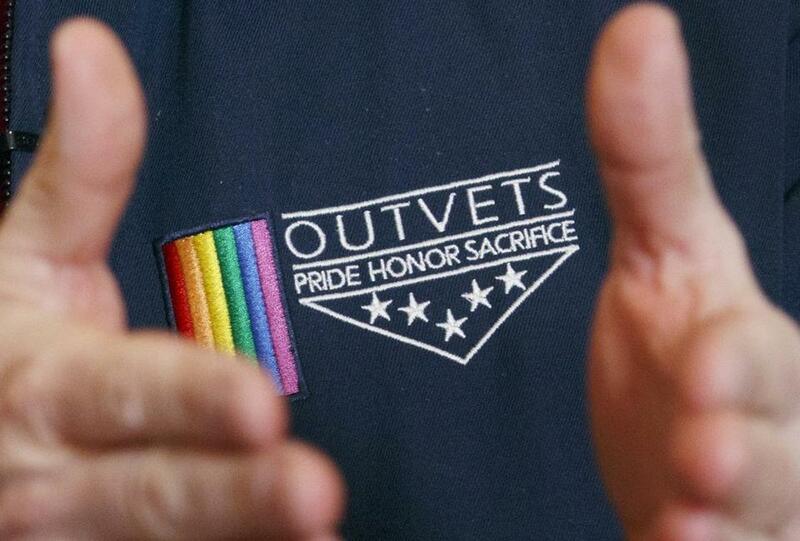 In Nov. 2014, OUTVETS became the first group that honors gay veterans to march in Boston’s Veterans Day parade. Soon after and ahead of the 2015 St. Patrick’s Day parade, OUTVETS became the first group that honors gay veterans to be approved by parade organizers to march. OUTVETS founder Bryan Bishop in his Boston home. Another LGBTQ rights group, Boston Pride, was later approved to march in that year’s parade. Both groups marched in 2015 and in 2016. In 1995, the parade’s organizers, the Allied War Veterans Council, won a lawsuit in the Supreme Court that allowed it to exclude groups on the grounds of free speech. When parade organizers allowed the gay groups to march, several local politicians participated in the parade for the first time after years of refusal. They included Martin J. Walsh, the first Boston mayor to walk the route in two decades. However, the inclusion of the groups also prompted some other organizations, including the Massachusetts State Council of the Knights of Columbus and the Immaculate Heart of Mary School in Harvard, to withdraw from the parade. And in late summer of 2016, a civil lawsuit filed in Massachusetts District Court alleged that Walsh had used a series of thinly veiled threats and verbal jabs to pressure organizers to invite OUTVETS to march. 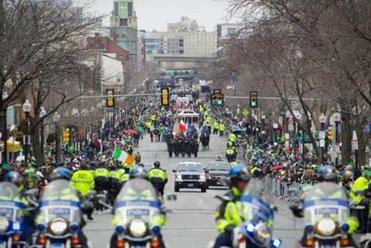 Walsh has stated that he was within his legal means to encourage the parade to be more inclusive, and, court records show, a judge dismissed the lawsuit about a month later. Earlier this week, parade organizers barred OUTVETS from this year’s parade, scheduled for March 19, saying that the group missed an application deadline and would have violated the parade’s regulations about displays. 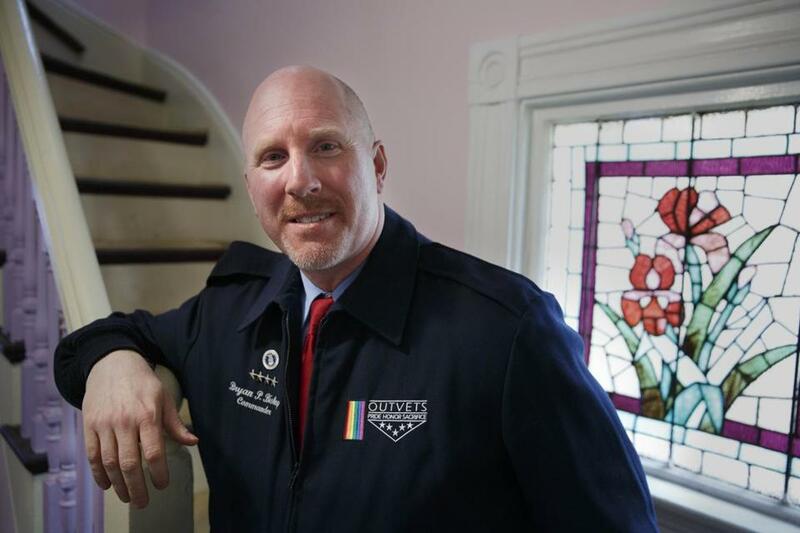 “OUTVETS was informed that our Code of Conduct prohibits the advertisement or display of one’s sexual orientation, and that the ‘rainbow’ flag on its banners and logo was in violation of this rule,” said a statement this week from organizers of the 116-year-old march. Sponsors of the parade have vowed to withdraw their support and politicians have said they will not attend if OUTVETS cannot participate. Organizers were expected to reconsider the ban on OUTVETS on Friday.